Complete boat engine rebuilding is the specialty of Pugsley's Marine, located in Ontario, NY at 310 State Route 104, phone (585) 265-0750. Don't let badly needed boat engine repairs keep you adrift. We feature a complete marine repair shop servicing Evinrude outboards and Mercruiser sterndrives. 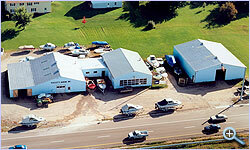 This Rochester marine repair center has a staff of engine repair specialists who can handle most any problem. We feature complete boat engine rebuilding, outdrive rebuilding and outboard repair. Our quality service has won the respect of our many customers for prompt, expert work at sensible prices. From tune-ups and oil changes to a complete boat engine-rebuilding job, the people at Pugsley's Marine have the experience and facilities to handle any size job. You will find we employ experienced factory trained personnel who are always ready to serve you in a friendly, efficient manner. We will gladly offer helpful suggestions regarding boat motors or boat maintenance to keep your craft "ship shape". When professional, mechanical work is needed for your boat, call the pros at Pugsley's Marine for Rochester Marine Repair. Our quality, guaranteed work is apparent from our vast following of boating enthusiasts. Pugsley's Marine is conveniently located 20 miles east of Rochester, NY on Route 104 in Ontario, NY - on your way to Sodus Bay, Port Bay, Fair Haven and the Thousand Islands. We currently do not have any used boats for sale.